There are literally hundreds of varieties of pomegranate across the world. Some varieties are native to one area of the world or another and can only thrive in those areas. Other varieties can be ‘transplanted’ if you will, to other areas of the world as long as the climate is similar. During ancient times, the pomegranate fruit was referred to as the nectar of the gods and is one of the oldest fruits known to man. It’s no wonder then that people have experimented with finding new and interesting pomegranate fruit varieties. 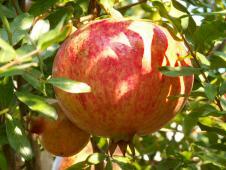 Many of these fruit trees can be obtained through a local nursery or via an online nursery. However, there are many varieties that are rather elusive and almost impossible to find unless you happen to know someone who has a specific variety growing in their back yard. Pomegranates are native to the near-Middle East to the Himalayas, but are now found throughout the United States and many other countries. Just to name a few of the other countries that either grows or has grown varying varieties of pomegranate: Spain, Israel, Persia, and Germany. The first plants to arrive in the United States may have been brought into the country by the early Spanish settlers, but no one knows for certain if the tree first arrived in Florida or California. The fruiting variety of pomegranate fruit is popular with not only commercial growers, but also with individuals who enjoy growing and eating the fruit themselves. The fruit trees produce rich tasting and juicy fruit, but also produce stunning red-orange blooms during the year so they are seen as an ornamental tree in addition to bearing fruit. The fruit of a pomegranate appears to be the size of a medium apple up to a softball size. Rind colors of pomegranates can be deep red, crimson, yellow-orange, white, green, deep reddish-purple, and even almost black, to name a few. These trees require pruning to keep them under control or else they have the capability of growing up to 20 feet in height. Most varieties of pomegranate can be pruned to a good height of 6 to 12 feet in order to keep the tree healthy. This is by no means a comprehensive list of pomegranate varieties, but it is a good sampling of some of the most popular ones. Check your local nursery or an online nursery for purchasing these varieties. Every variety of pomegranate has its own distinct flavor, but all of these fruits are full of beneficial antioxidants, vitamins, minerals, and dietary fibers necessary for excellent health. You may also hear the terms, “punic apple”, “grenade”, “melagrana”, “granada”, “granatapfel” or “melograno” to refer to pomegranate fruit. Depending on where you are in the world, this fruit could be called a number of different names. 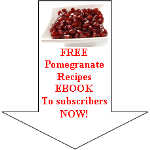 Read enough about varieties of pomegranate and want to discover more about this healthy fruit?